Last Saturday we fired up the Swrve mobile bright and early for a big little road trip. Actually, it was still dark so it was just early. Really early. Two rights, a left, two more rights and a few hundred boring miles on the 5 later, we reached our destination- the 2012 North American Handbuilt Bike Show in lovely Sacramento. We went as spectators with no real agenda other than have a good time, see some cool bikes and maybe run into some friends. We’re pleased to report the trip was a smashing success on all three levels. 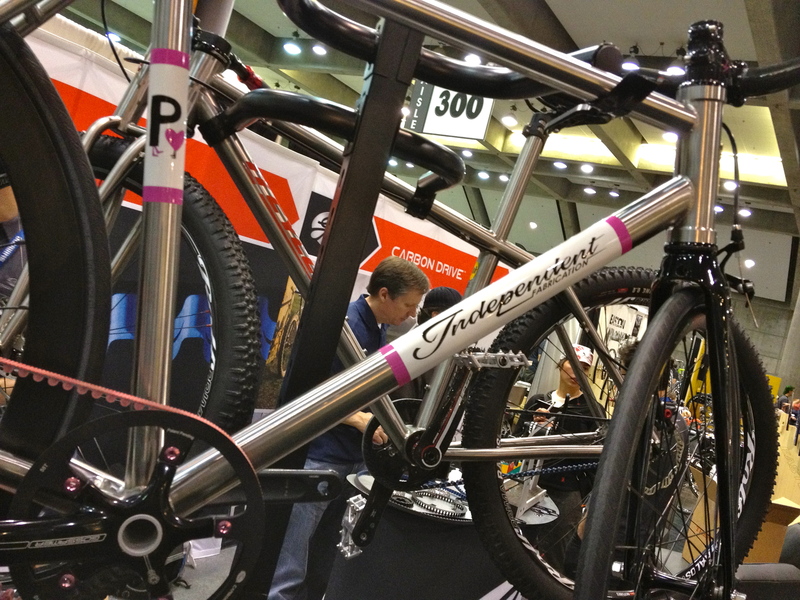 If you fashion yourself a bike geek, you owe it to yourself to check out NAHBS at least once. 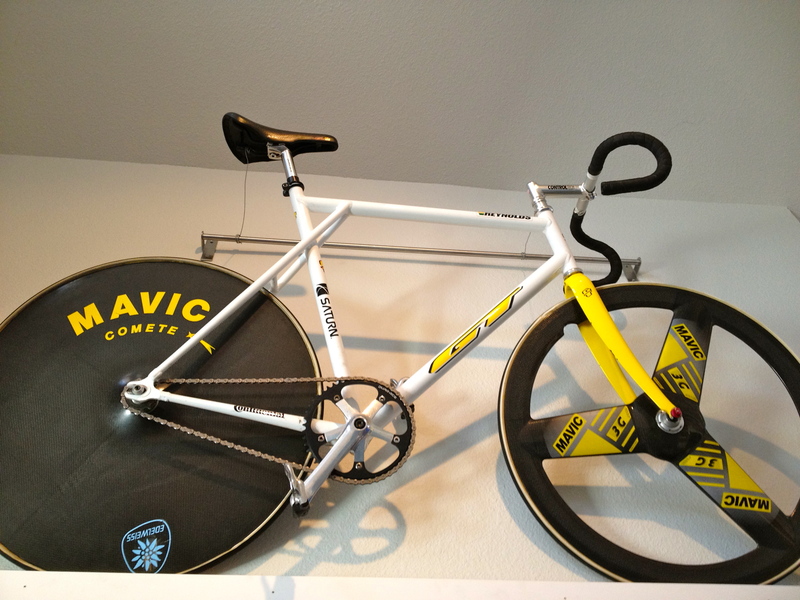 It’s a total cycling nerd fest in the best way possible. Imagine going to a Dungeons and Dragons Convention and everyone in attendance is a Grand Wizard (or whatever title is bestowed upon the highest level dungeon master). The show was nothing but the elite. The best of the best. Both in terms of builders and attendees. You’ve probably spent the week drooling over eye candy on other blogs that feature professional photography so we won’t bore you with fuzzy shots you’ve already seen but here’s our trip (at least the parts we can remember) in pictures. 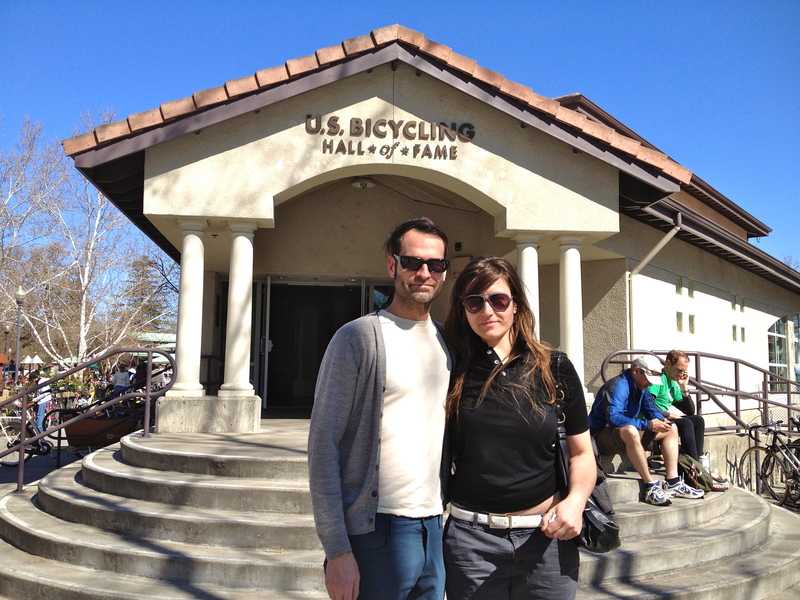 Our first stop was to check out the US Bicycling Hall of Fame in Davis. 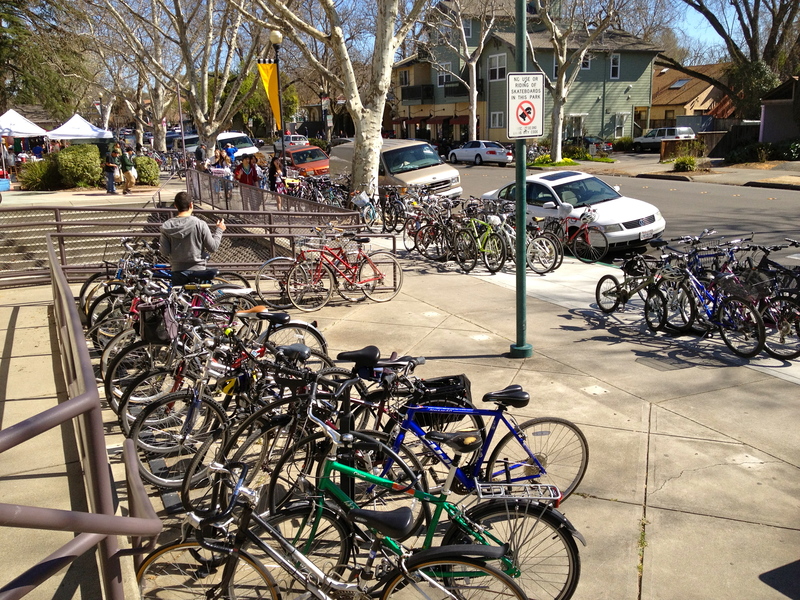 To say Davis is a cycling friendly town is like saying Mother Teresa was a lady who liked to help people. The tiny glimpse we got of Davis was jaw dropping. Everywhere you looked you’d see a bike- even on official city signage. According to everyone we spoke to. This is what a slow Saturday looks like at the farmer’s market. 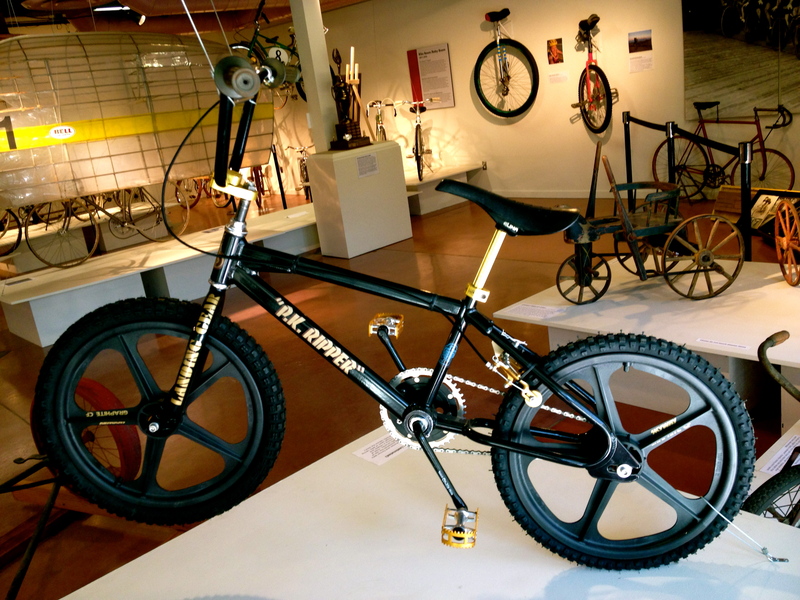 The Bicycling Hall of Fame was full of sweet delicious eye candy that was a good warm up for the day’s main event. Someday I will have one. This saw action in the Olympics. 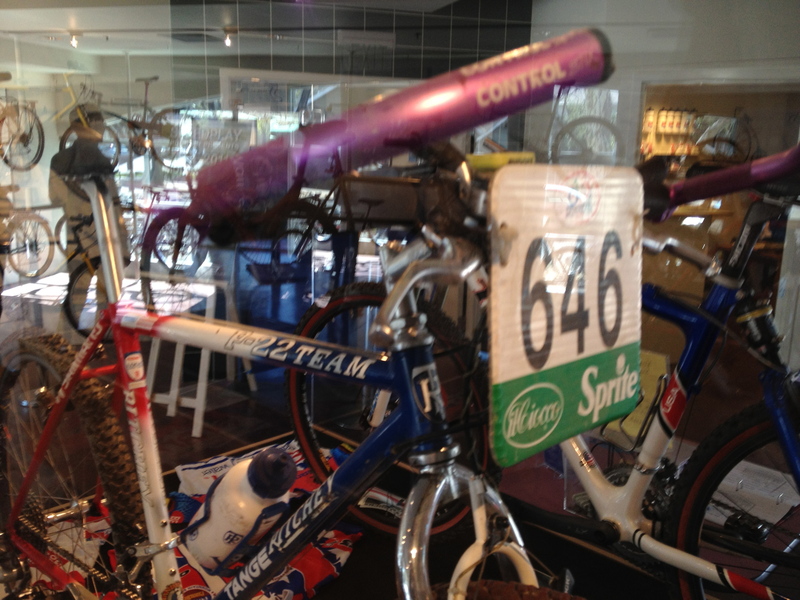 Had these same purple “power sticks” back in the last century. 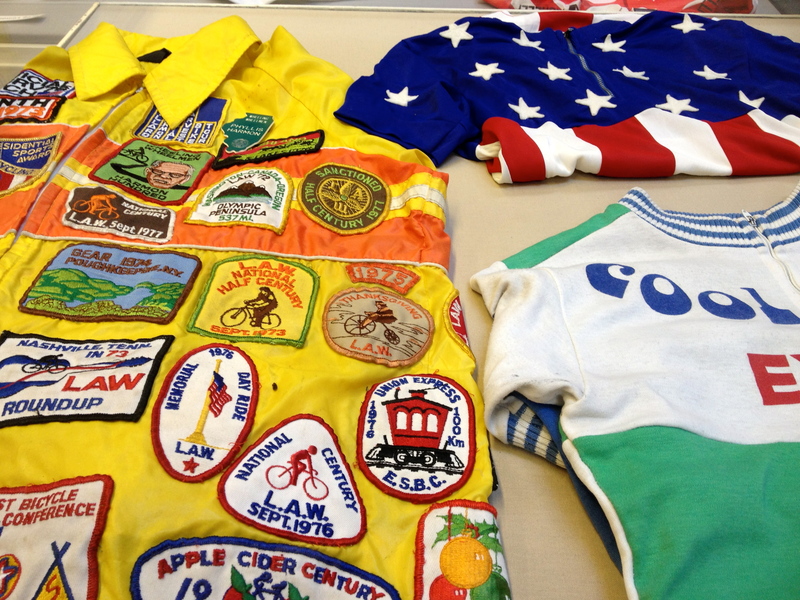 Patches will be the hot trend for 2013 if we have anything to say about it. 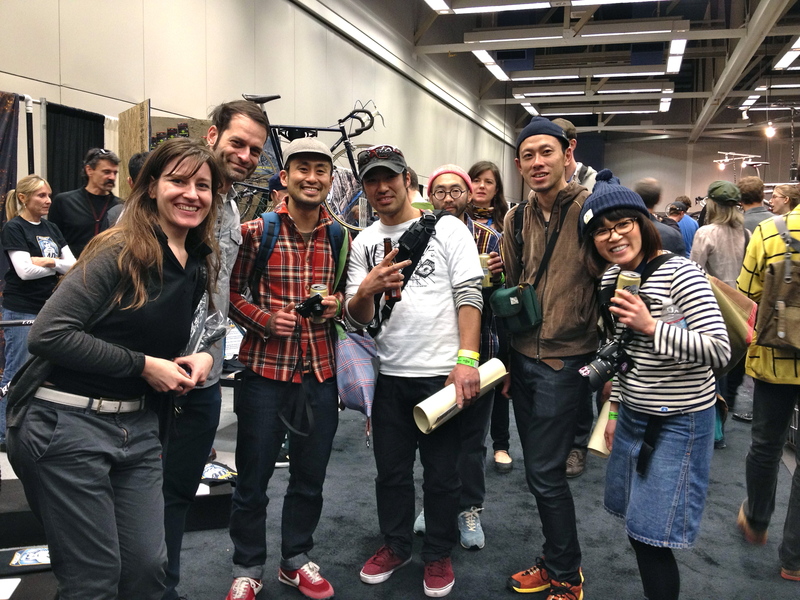 We were more than a little surprised to see our friends from Circles who came all the way from Japan for the show. They the closed the shop down and took the whole crew on a 48 hour whirlwind of a trip. And we thought we were wacky and bold driving six hours each way. Check out their recap here. 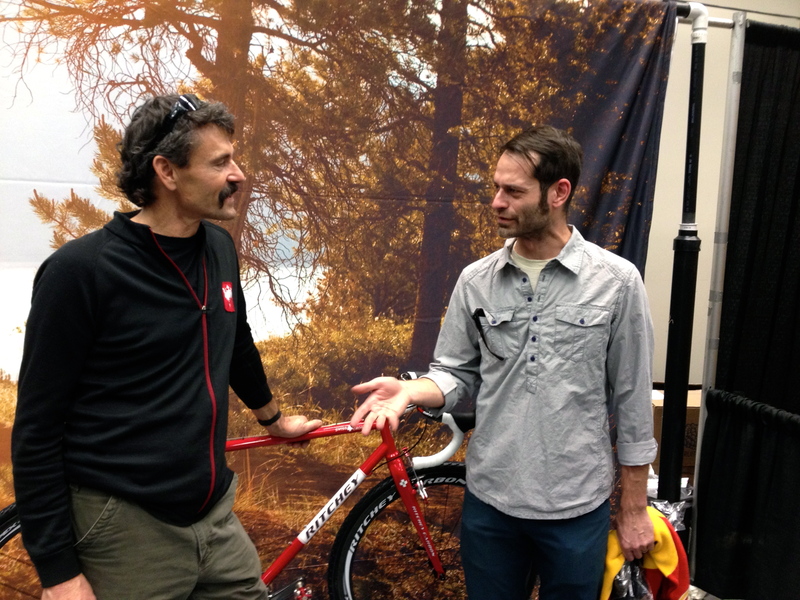 My big fan boy moment asking Tom Ritchey if he remembers building my now vintage Swiss Cross which is now Muriel’s. 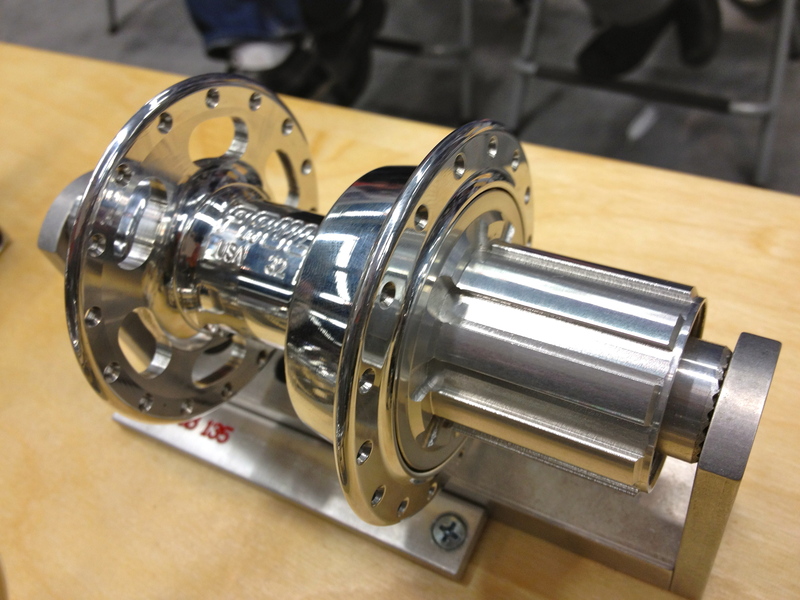 Already planning a new wheel set around Paul’s new road hubs. Mmm…. drool. This is Joey. Yes, that Joey. As if there’s another Joey. Saturday night we met some friends for dinner and went to the party thrown by Stevil Knievel of All Hail the Black Market. We weren’t there for long before we were found ourselves in the path of Hurricane Joey. All the enthusiasm the kid had flying into that the barrier that made him famous was on full display. If the new crop of youngins in the bicycle industry have one tenth the energy of Joey, we’ll be in good hands by the time were full fledged crotchety old farts. In a word Stevil’s party was a blast. We still had residual shakes from his Interbike bash but we did our part to drink the bar out of beer and most of their other alcohol based fluids. Seriously, a bunch of dirt bag bike nerds were able to drink a bar dry. It was a glorious and impressive site to not remember. We do though remember most of the good times and the amazing energy that is in the air when so many bike people are gathered under one roof. It’s hard to explain but basically, if you’re part of the proverbial tribe (for lack of a better word) you’re all friends. A great example is how we piled into a cab to mooch a ride back to downtown with total stranger and by the time we arrived we’re old buddies hopping a fence and sneaking into the long closed pool area for a nightcap or five. Good times all round. See you next year in Denver. 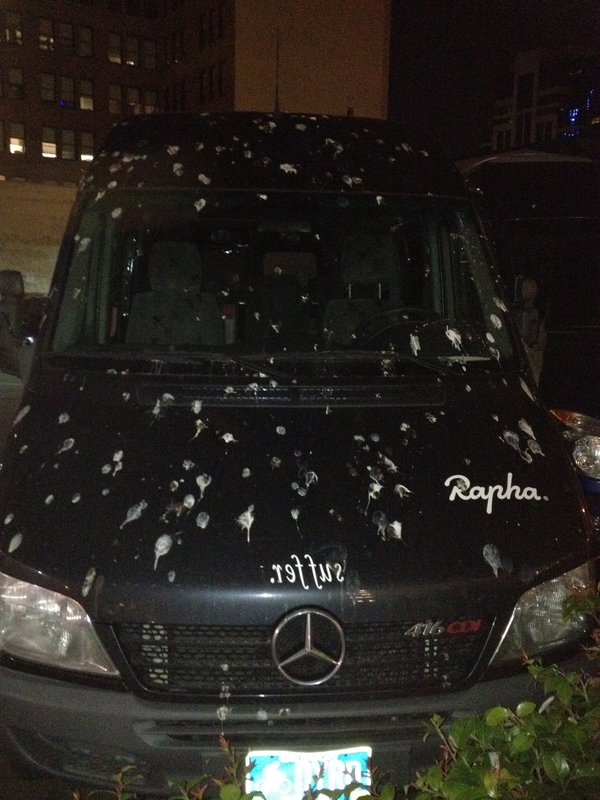 Hope our friends at Rapha have enough time to scrape away all the poop. 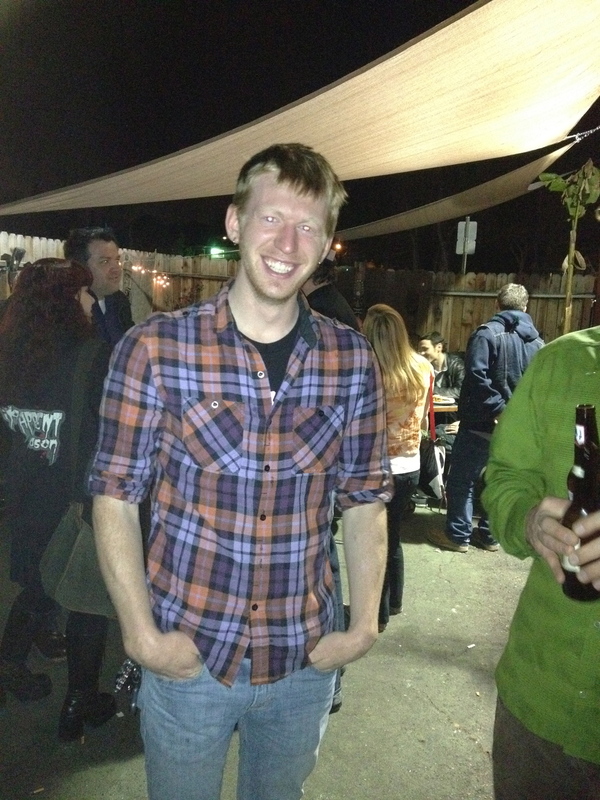 This entry was posted on March 10, 2012 at 12:03 am and is filed under Uncategorized. You can follow any responses to this entry through the RSS 2.0 feed. You can leave a response, or trackback from your own site.